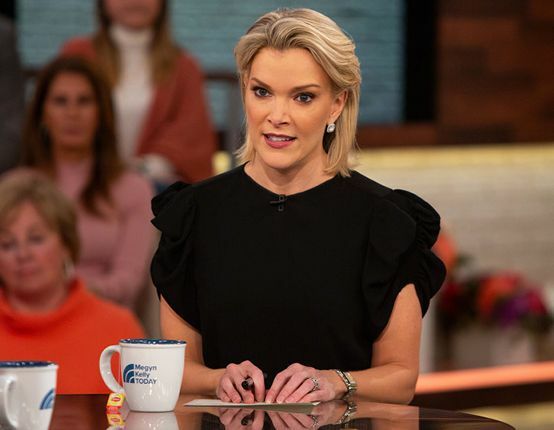 When Megyn Kelly last week made a “jaw-dropping” defense of white people wearing blackface on Halloween, said James Poniewozik in The New York Times, why did her bosses at NBC act so surprised? NBC fired Kelly after the morning show host’s comments—she insisted blackface wasn’t racist if it was part of a costume—angered network colleagues and generated embarrassing headlines, but “anyone who knew anything about her career” could have seen this coming. Before jumping ship for NBC, Kelly’s “meteoric rise” at Fox News was fueled by “racial demagoguery,” said Kirsten Powers in USA Today. She insisted that black parents tell their kids that “Santa Claus just is white” (Jesus, too), complained that the black community has “a thug mentality,” repeatedly said blacks shot or brutalized by cops brought it on themselves, and laughed off a Fox chyron describing Michelle Obama as “Obama’s Baby Momma.” At NBC, she tried to temper her instincts, but her sharp-elbowed persona produced mediocre ratings. The network seems relieved to be done with her, despite likely having to pay Kelly her $69 million contract in full. Kelly’s apology should have been accepted, said Holman Jenkins in The Wall Street Journal. “Surely when no offense is intended, none should be taken?” Ah, but liberals love to be offended, which gives them an excuse “to exercise power, to intimidate, to terrorize.” If free speech still matters, broadcasters must be allowed “to be wrong without being canceled,” said Emily Jashinsky in TheFederalist.com. The whole point of the panel conversation Kelly was moderating was to air different opinions about Halloween costumes. Had she not voiced her authentic views, she and her like-minded viewers would not have been educated about the ugly history of blackface.